There are several external factors that affect Forex currency trading. These factors include trade reports, GDP, unemployment, international trade, manufacturing etc. The growth or decline in these factors affects a country’s currency value. Foreign exchange is a continuous global market, providing a 24-hour market access to its players. Since it is open only 5 days a week, so weekend is the closing period. Although foreign exchange is the most liquid of all markets, the fact that it is an international market and trading 24-hours a day, the time of day can have a direct impact on the liquidity available for trading a particular currency. The major centers and time zones are that of Sydney, Tokyo, London, and New York. Therefore, forex alerts must consider which players are in the market, since in the modern interconnected financial world, events that occur at any hour, in any part of the globe, can affect some or all parts of the investment community. In forex trading, you are not ignorant like one remains in stock for a considerable period of time about the news affecting the liquidity of a stock. In stock market, you come to know about inside trading, revision in earnings only after the market has reacted upon it. But in forex currency trading, this is not the case. Here you get various forex signals. Significant information affecting a particular currency becomes known to everyone in the trade instantaneously. There isn’t anything as insider trading in a forex market. There are many online forex trading startegy sites. They all maintain a global economic calendar. This calendar indicates the major forthcoming economic, financial and business related events all over the world and which can have important bearing on foreign exchange market. What you have to do is to keep a track of all important events and news. Certainly, it will not be an easy task to watch constantly all the factors affecting foreign exchange trading market. They change in importance over time and condition. But the information is available to anyone and for use to one’s benefit. A currency trader has got a chance to react immediately to any new information. 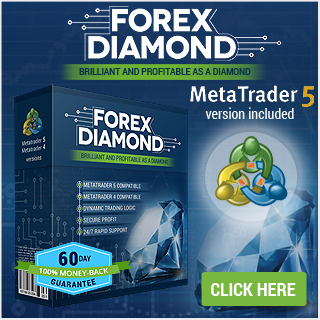 Unlike stock market, another important advantage forex trading offers is that you can do foreign currency trading almost from anywhere from the world. 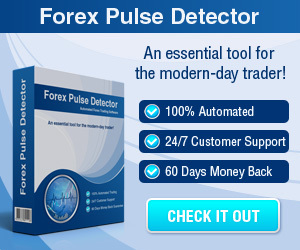 There are so many online forex trading signal platforms available to get instant information and to act within time. Most important GDP figures that affect forex trading are of USA, Japan, Canada, Australia and Britain. China is also expected to be a major force in online paper trading in near future. Central banks play a significant role in the forex market because they have the responsibility of changing the country’s “base” interest rate. A central bank has to maintain growth in the economy in accordance with inflation, so it creates a good balance in interest rates. The bank’s decisions on whether to raise, cut, or hold the interest rate fuels speculation in the forex market, where the value of a currency, or group of currencies, changes in real time. Natural disasters, terrorist attacks, and militarily actions in a sensitive region can have a significant impact on the forex market as they create a disturbance in the world. Be the first to comment on "Factors that Affect Forex Trading"